You can make direct donations to our Ed Rocks Sponsors! Show your love by contributing a monthly gift. Your automatic donation to Education Rocks supports our student sponsors in their mission to end poverty by covering administrative and infrastructure costs. Show compassion by donating a one-time gift which will allow us to open up the opportunity to become a global leader to countless U.S. students and to expand into more developing countries around the world. Here is where you can make a donation directly to your favorite U.S. sponsor to support their efforts and their journey. Just fill in the information below! Education Rocks is a program of Transforming Kids 501©3. All donations are tax deductible. Education Rocks is a program of Transforming Kids 501c3. All donations are tax deductible. Please consider making a contribution to our WITS Scholarship Fund. Support our sponsors in shifting their world view by visiting the Ed Rocks students that we support in developing countries around the world. Choose your amount for the scholarship fund. Show how much Education Rocks inspires you with any donation amount you choose! Choose a one-time gift or set up a monthly donation. Your donation will inspire young people to become global leaders. Show commitment to Education Rocks and this global revolution for change, by partnering with us at the Junior and Honorary Founder levels. Walk in Their Shoes is an Education Rocks Global Leadership Program committed to its participants becoming inspired, connected, and empowered to act. 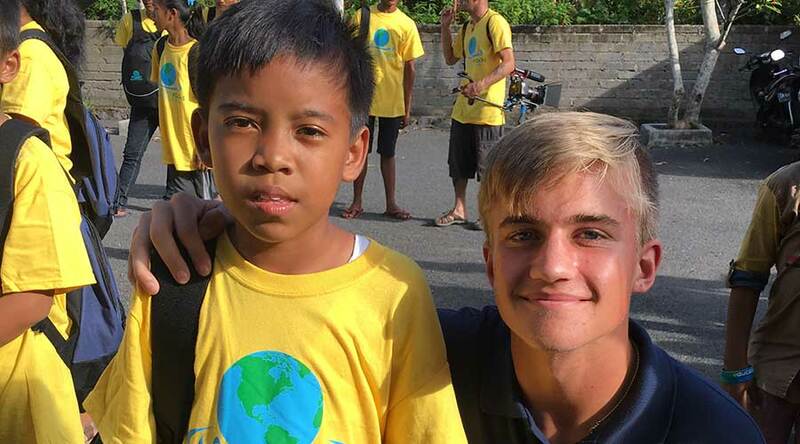 Our US student sponsors have an opportunity to shift their global perspective by immersing themselves in the lives of the students they sponsor in developing nations around the world. They learn, first hand, the daily challenges facing these students and see for themselves the difference they are making. This experience has been described by many participants as life changing. If you re inspired to bring Ed Rocks to your school, 1) YOU ARE AWESOME, 2) Get Started! Want to be a Rockin Hero? Bring Ed Rocks to your School. Currently we only operate in partnership with schools, so contact us to learn how to create a club for your school and release your inner Rockin Hero.